#1: The Himalayan Blackberry (Rubus armeniacus) is so familiar that no photo is required. This bramble is so aggressive that we have all encountered its tenacious thorns. Don’t defend it by invoking its sweet berries; it out-competes our native Trailing Blackberry (R. ursinus) which produces superior, though smaller and earlier, berries. If forced to write something positive I would mention its efficacy at discouraging off-road motorcycles. It’s hard to believe that this European native was deliberately transplanted to the U.S. in 1885 by Luther Burbank. 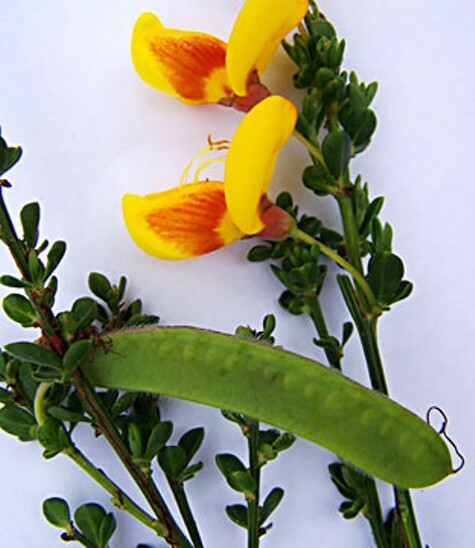 #2: Scotch Broom (Cytisus scoparius) produces copious yellow flowers and then seed pods. When fully established it is impenetrable except by bulldozer. 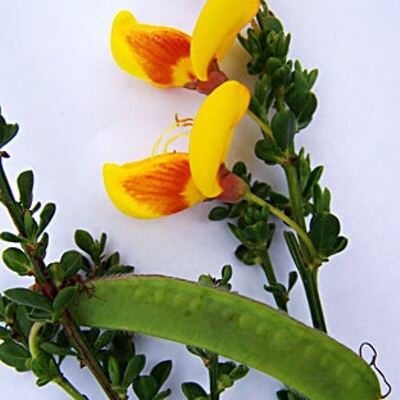 It is therefore essential to catch it young, and to remain vigilant because seeds can germinate for several years after their dispersal by birds. Fire enhances seed germination. One positive attribute is its ability to compete with #1. Brooms are native to Europe and were introduced as ornamentals in the U.S. about 1850. #3: Pampas Grass (Cortaderia selloana), named by Alex von Humboldt, has garnered the Royal Horticultural Society Award of Garden Merit. 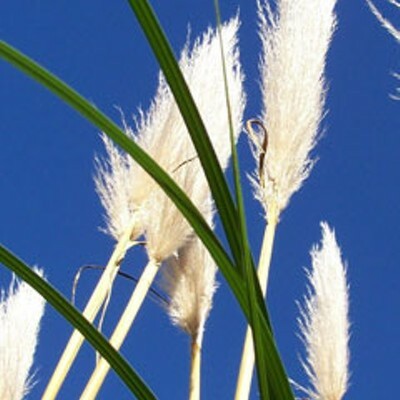 Those judges never needed to cross impenetrable stands of Pampas Grass with their sharp-edged leaves. Resort to chemicals. On a positive note, they are quick to colonize erosion-threatened slopes with their prolific, wind-dispersed seeds. #4: English Ivy (Hedera helix) smothers trees. 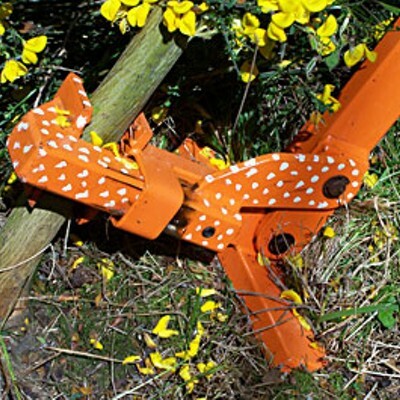 But there are other species on California’s Invasive Plant Inventory that may be worse, such as Cotoneaster or pasture-destroying, horse-poisoning, Yellow Star Thistle. The best way to permanently control many of our invasive exotics is to shade them out with redwoods. While taking the last photo of a Weed Wrench extracting a Scotch Broom, I was horribly attacked by an indigenous Poison Oak. Don Garlick is a geology professor retired from Humboldt State University. He invites any questions relating to North Coast science, and if he cannot answer it he will find an expert who can. E-mail dorsgarlick@yahoo.com.